Those who live in glass houses should not throw 57 stone! You can use it for other purposes. Typically, it used for the construction of driveways, roads and as a base for retaining walls. It is largely made from crushing up demolished concrete structures and pads. Selmon Extension construction crews are using the crushed stones for bedding underneath pipes in wet areas on the east end of the project. 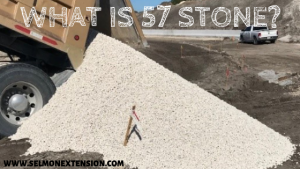 It’s also used as an aggregate base in concrete and asphalt. Selmon Extension construction crews started the preparation work for the widening and lengthening lanes on both the north and southbound sides of the intersection of Gandy and Westshore Boulevard. A new lane configuration has been implemented on the southside, the straight-thru and the right-hand turn lane have been condensed to one shared-lane. Please use caution while approaching this intersection. The left median turn-lane, eastbound Gandy Boulevard in front of Renellie Drive will remain temporarily closed through the middle of next week. The closure is needed to conduct bridge foundation work in the median. Drivers will need to U-turn at Trask Street or S. Manhattan Avenue to access the West Gandy Plaza. Advanced warning signs will be posted to alert motorists. The turn-lane will open for thru-traffic once crews are complete by Wednesday, April 24th at 6 am. Contractors will suspend work for the Selmon Extension Project on Sunday, April 21, 2019, in observance of the Easter holiday. There will be no impacts to the traveling public during this time. HAVE A SAFE AND HAPPY HOLIDAY! New traffic configuration for westbound Gandy Boulevard entrance ramp, please use caution while driving in this area. Westshore/Gandy Boulevard intersection; Northside: Drainage/pipe/utility work will occur at night due to implemented lane closures, continue barrier wall installation, lanes have been narrowed at the intersection. Southside: New lane configuration; straight-thru/right-turn lanes have been combined into one lane. 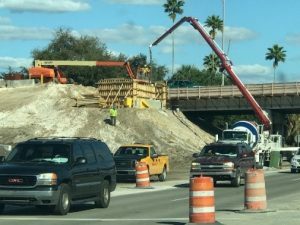 Traffic pattern remains in place for the Selmon Expressway’s exit to eastbound Gandy Boulevard. The sidewalk is closed on northbound Dale Mabry Highway between the Selmon Expressway overpass and the railroad tracks. Pedestrians walking on Dale Mabry will need to use the sidewalk on the west side of Dale Mabry. Detour signs are posted to alert pedestrians. 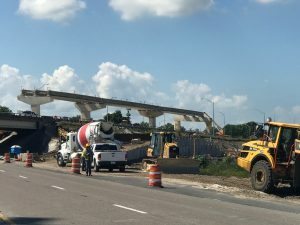 We first showed you photos last month on the construction of the new Selmon northbound bridge, now it’s starting to take shape! Crews finished the two end bents back in February and are now installing the bridge beams. Crews are scheduled to finish the bridge later this fall. On Tuesday, April 16, 2019, Selmon Extension construction crews are scheduled to close the ramp entrance to westbound Gandy Boulevard from the Selmon Expressway at 9pm to conduct a traffic shift, weather permitting. Drivers will need to use Bay to Bay Boulevard or Euclid Avenue as a detour. 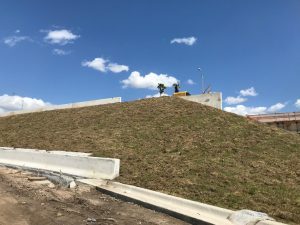 The new permanent roadway to westbound Gandy Boulevard will be open for traffic by Wednesday, April 17, 2019 at 6am. The left median turn-lane, eastbound Gandy Boulevard in front of Renellie Drive will remain temporarily closed through the middle of next week. 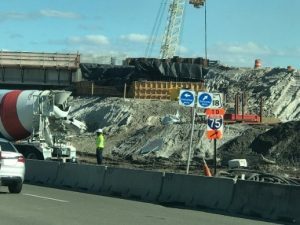 The closure is needed to conduct bridge foundation work in the median. Drivers will need to U-turn at Trask Street or S. Manhattan Avenue to access the West Gandy Plaza. Advanced warning signs will be posted to alert motorists. The turn-lane will open for thru-traffic once crews are complete by Wednesday, April 17th at 6am. Daytime tree stump removal operations, utility work, restriping the roadway, installing barrier wall on the north side of Gandy Boulevard, along the southbound lane. Selmon Extension construction crews are using this similar Bridge Deck Screed on the new northbound Selmon Bridge. This piece of equipment establishes the finished elevation on the bridge deck. 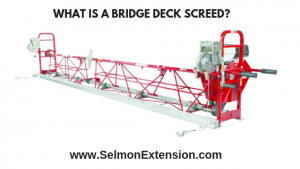 It’s typically used for bridge deck widening and stand-alone narrow bridges. On Friday, April 5, 2019, beginning at 9pm Selmon Extension crews will temporarily close the eastbound Gandy Boulevard left turn-lane in front of Renellie Drive for 7-10 days. The closure is needed to conduct bridge foundation work in the median. Drivers will need to U-turn at Trask Street or S. Manhattan Avenue to access the West Gandy Plaza. Advanced warning signs will be posted to alert motorists. The turn-lane will open for thru-traffic once crews are complete. Daytime tree trimming operations, utility work, nighttime striping, and barrier installation on the north side of Westshore and Gandy Boulevard intersection, along the southbound lane. Shop Gandy! 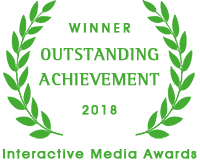 is a partnership between the South Tampa Chamber of Commerce, Greater Tampa Chamber of Commerce, St. Petersburg Area Chamber of Commerce and Greater Brandon Chamber of Commerce. 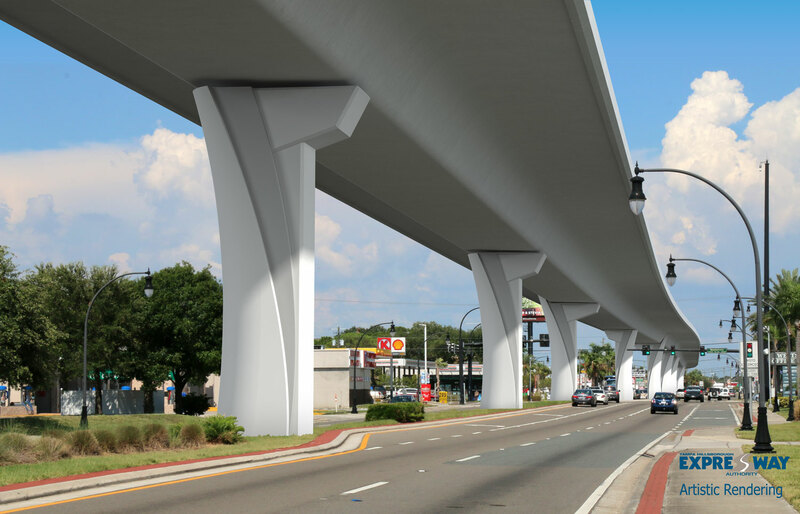 The goal is to promote and drive commerce to the businesses along the Gandy corridor, before, during and after the construction of the Selmon West Extension. Gandy Boulevard is a hallmark main street in Tampa that connects Tampa with St. Petersburg across the Bay and iconic Bayshore Boulevard. It is lined with local shops and national brands and intersects with major retail roadways such as Westshore Boulevard, Dale Mabry Highway, and MacDill Avenue. Need a gift for friends and family? Pick up a gift card to any one of the many retailers along Gandy Boulevard. Too tired to cook? Stop by locally owned or national chain restaurants for good food close to home. There are even some stores open 24 hours on Gandy for your last-minute gift needs! When you Shop Gandy, you not only find something for everyone on your list, you support local businesses and nurture a sense of community. For every $100 you spend at a local retailer, $68 is re-invested into the community. We understand that construction can be tough on businesses so please remember to support the local businesses along the Gandy corridor for your shopping needs. Visit the Shop Gandy! Website at: www.shopgandy.com. Next weekend, Selmon Extension crews will temporarily close the eastbound Gandy Boulevard left turn-lane in front of Renellie Drive for 7-10 days. The closure is needed to conduct bridge foundation work in the median. Drivers will need to U-turn at Trask Street or S. Manhattan Avenue to access the West Gandy Plaza. Advanced warning signs will be posted to alert motorists. The turn-lane will open for thru-traffic once crews are complete.